On August 12, 2016, FDA issued a new Draft Guidance (Draft Guidance) on its interpretation of the New Dietary Ingredient (NDI) notification requirement in Section 413 of the Federal Food, Drug, and Cosmetic Act (FDCA). 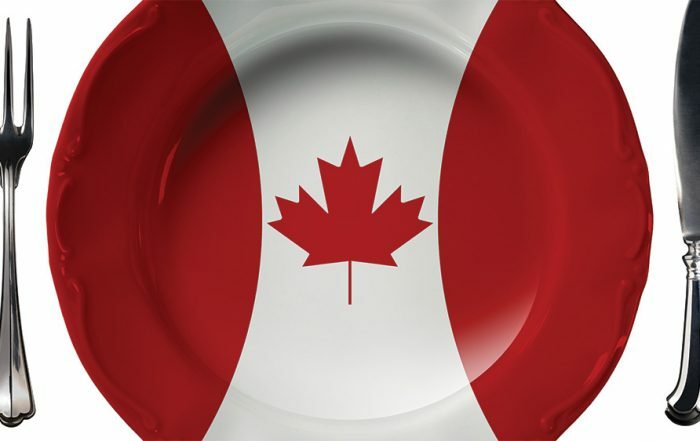 The Draft Guidance contains provisions that have the potential both to facilitate and to impede innovation in the dietary supplement and functional food industries. At bottom, this was a good faith effort that requires some considerable updating to meet industry realities. On the one hand, FDA opens the door to greater regulatory certainty by proposing that the agency move toward development of a definitive list of “grandfathered” dietary ingredients, exempt from the Section 413 requirement. In addition, the agency encourages innovation by introducing the potential of de facto exclusivity with the new Master File concept for NDI notifications. At the same time, other provisions in the Draft Guidance have the potential to hold back new product development. These include FDA’s continued embrace of a narrow definition of “dietary ingredient” and limited scope of “chemical alteration,” as well as its newly-introduced ambiguity around the role of generally recognized as safe (GRAS) self-affirmations. 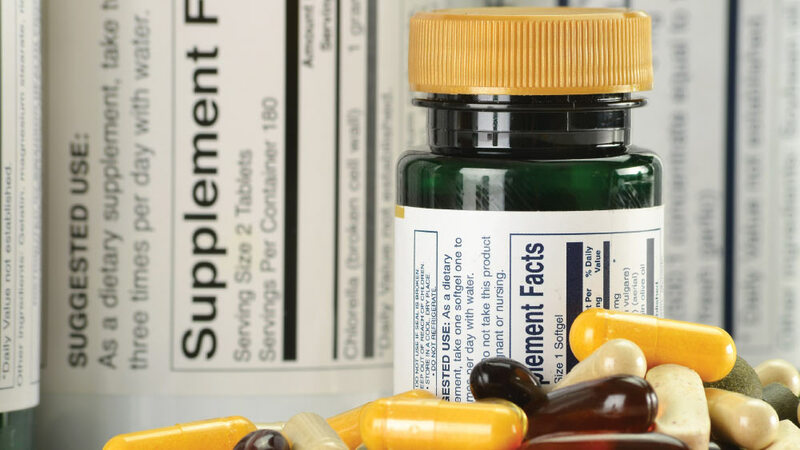 This article discusses the Draft Guidance and its role in dietary supplement innovation in detail. It is worth noting that FDA received over 7,000 comments on the Draft Guidance, and has made clear that it intends to continue to engage in discussion on these issues. For purposes of this section, the term “new dietary ingredient” means a dietary ingredient that was not marketed in the United States before October 15, 1994 and does not include any dietary ingredient which was marketed in the United States before October 15, 1994. Industry has long argued that a definitive list of these “grandfathered” ingredients would enable efficient new product development without regulatory uncertainty. With this goal, a number of industry trade associations worked with their members after the passage of DSHEA to compile lists of dietary ingredients that they knew to be present on the market as of October 15, 1994. FDA, however, took the position that these lists were not based on empirical evidence, and insisted instead that industry substantiate claims of grandfathered status for each individual ingredient marketed. This impasse has persisted since 1994. In the Draft Guidance, FDA offers a pathway forward with its offer to establish an “authoritative list of pre-DSHEA ingredients, based on independent and verifiable data” submitted by industry. 2016 Draft Guidance IV.A.11. 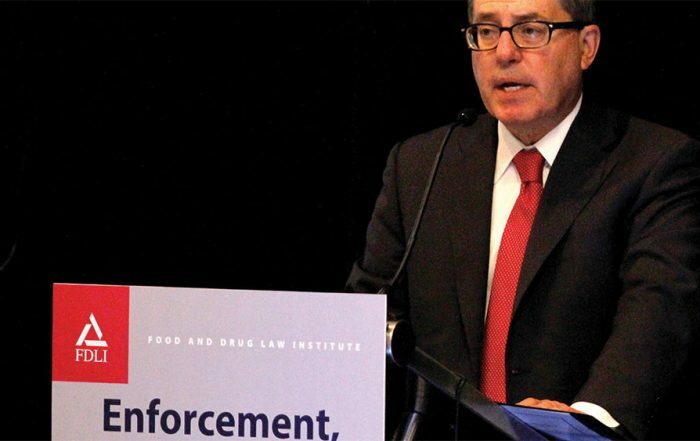 Though FDA’s suggestion lacks any detail, the agency held productive discussions with stakeholders in 2012 and 2013 about the potential for establishing a joint FDA-stakeholder panel to review evidence and establish a definitive list. A number of comments to the agency on the recent Draft Guidance suggest taking steps to activate such a process, including with regard to botanical ingredients, with the end goal of clearing a path to product development. If FDA moves forward in this regard, there will be greater regulatory certainty for a large number of dietary ingredients. In addition, the Draft Guidance offers a potential incentive for innovators with its embrace of the Master File concept for NDI notifications. Importantly, this lure comes along with FDA’s repeated statement that an NDI notification is required by each party placing the dietary ingredient on the market. You may also submit a confidential “NDI master file” to FDA which contains the manufacturing, specifications and other identity information needed to completely describe the ingredient. You may incorporate by reference the contents of the master file into an NDI notification. You may also authorize other firms to reference the contents of the master file in notifications describing the ingredient they obtain from you. FDA expects that most submitters will identify the contents of NDI master files and ingredient specifications as trade secrets. 2016 Draft Guidance IV.C.1. Allowing subsequent notifiers to rely on an NDI Master File established by a previous party has the potential to reduce unnecessary duplicative submissions between ingredient suppliers, dietary supplement manufacturers, and distributors. 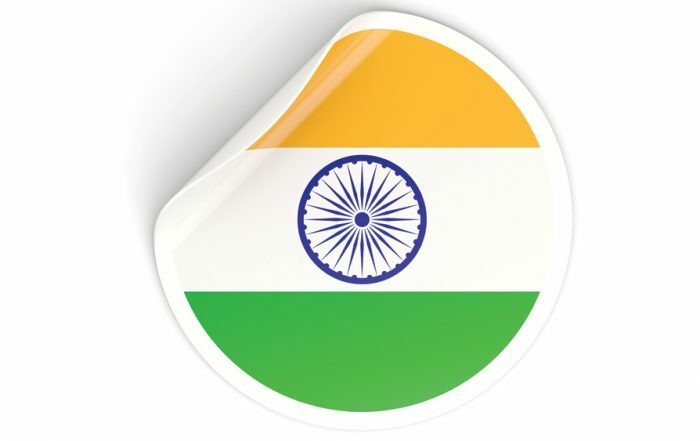 Moreover, the requirement of written authorization for reliance creates a potentially meaningful incentive for NDI notifiers to invest in rigorous safety studies that will be relied upon by others only with their permission. While promising, this incentive will become a reality only if: (1) FDA enforces its requirement for an NDI notification by each party proposing to market an NDI, or version of the NDI; and (2) FDA treats studies on the NDI as confidential trade secret information. At present, the Draft Guidance falls short on this second point. 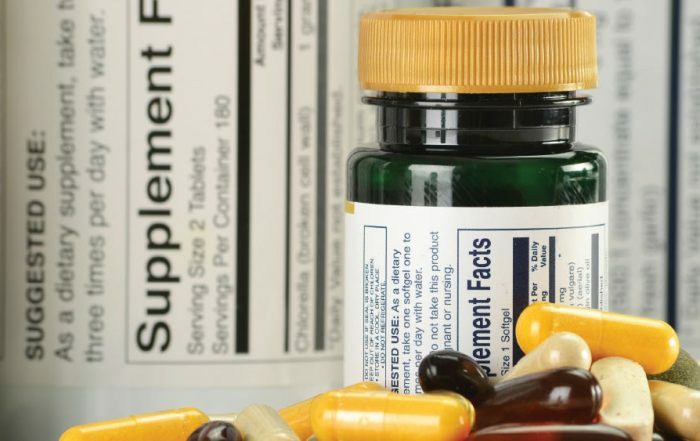 FDA’s description of confidential trade secret information in the Draft Guidance states that “[i]nformation about history of use or other safety information related to the NDI or the dietary supplement, including both published and unpublished studies” is generally not trade secret information. 2016 Draft Guidance V.A.16. This view is at odds with other FDA master file programs, and will need to be changed to make the incentive meaningful. While these changes are welcome, there remain significant obstacles to innovation in the Draft Guidance. 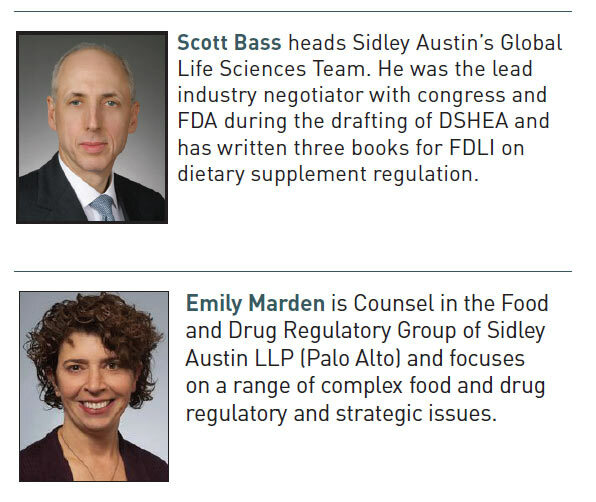 Foremost among these is FDA’s continued insistence on a narrow interpretation of the definition of dietary ingredient in FDCA Sections 201(ff)(1)(E) and (F). Taken together, FDA’s positions regarding the meaning of these subsections would exclude most new synthetic ingredients from use in dietary supplements and effectively halt innovation in this arena. Congress intended Section 201(ff)(1)(E) as the “catch-all” section open to all potential ingredients, subject only to an intended use requirement and other race-to-market and safety provisions of DSHEA. To this end, the aim in including a separate definition for non-food ingredients in DSHEA was to anticipate expansion and innovation in dietary supplement development. Inexplicably, FDA takes the position that “dietary substance” in Section 201(ff)(1)(E) only includes substances already present in “foods and food components that humans eat as part of their usual diet” that have been “used as…lawfully marketed ingredient[s] in the conventional food supply.” 2016 Draft Guidance IV.D.3. This interpretation is circular and would preclude use of most synthetic ingredients (except, as FDA notes, vanillin and cinnamic acid which are already in the conventional food supply), and in this sense, renders the section almost meaningless for new product development. FDA interpretation of FDCA Section 201(ff)(1)(F) is equally limiting. Congress intended the section to be interpreted broadly, continuing to add categories of potential ingredients during the legislative drafting process in an attempt to bar FDA from continuing its anti-botanical approach. In spite of this, FDA states in the Draft Guidance that the subsection would only include those concentrates, metabolites, constituents, extracts or combinations of ingredients that fall under its interpretation of Sections 201(ff)(1)(A)-(E), and are naturally occurring rather than synthetic. Without logical explanation, FDA exempts only metabolites from its requirement that a Section 201(ff)(1)(F) ingredient be naturally occurring. See 2016 Draft Guidance IV.D.3. In addition to being contrary to congressional intent, FDA’s limited interpretation of Section 201(ff)(1)(E) and (F) is inconsistent with the agency’s early interpretation of DSHEA. Prior to the publication of the 2011 and 2016 Draft Guidances, FDA accepted NDI notifications for a number of synthetic botanical ingredients without objection, among them an NDI notification from Roche Vitamins, Inc. in March 2001 for synthetic zeaxanthin (NDI Report No. 96) and from HOB Ireland Ltd. in January 1999 for synthetic (-)-hydroxycitric acid (NDI Report No. 35). FDA’s limited interpretation of “chemical alteration” in Section 413(a)(1) remains another obstacle to innovation. Section 413(a)(1) provides an exemption from the NDI notification requirement for dietary supplements containing “only dietary ingredients which have been present in the food supply as an article used for food in a form in which the food has not been chemically altered.” This section is read to mean that dietary ingredients are exempt from the NDI notification requirement if they exist in the same form—i.e., without chemical alteration—as that in which they exist in food. The 2011 Draft Guidance was widely criticized for taking the view that the processing steps included in the Congressional Statement of Agreement accompanying DSHEA (140 Cong. Rec. S14801 (daily ed. Oct. 7, 1994)), namely “minor loss of volatile components, dehydration, lyophilization, milling, tincture or solution in water, slurry, powder, or solid in suspension,” represented a complete list of manufacturing processes that do not chemically alter a food. In a positive change, the reissued Draft Guidance acknowledges that the Statement of Agreement list represents “examples of manufacturing processes that do not involve chemical alteration, but not necessarily a complete list of such processes.” 2016 Draft Guidance IV.B.5 (emphasis added). While added flexibility is a step in the right direction, FDA’s position still stands to limit innovation. Instead of allowing industry to gauge “chemical alteration” by examining whether the chemical structure of the ingredient is actually changed in processing, the Agency takes the position that it must review every such change prior to it being used in manufacturing—or alternatively, that an NDI notification be filed for any such change. FDA’s approach is burdensome and leaves considerable uncertainty about whether a company can even consider certain processing methodologies—including those that are more effective in isolating and purifying an ingredient. Consultation with FDA at the end of an innovative development process has the potential to waste industry resources, while early consultation with the agency would potentially strain limited government resources. Instead, FDA could truly support innovation by publishing specific criteria that a company can use to decide whether a process would chemically alter an ingredient. FDA’s approach to GRAS ingredients in the new Draft Guidance could pose an additional obstacle for innovation. In the 2011 version of the Draft Guidance, FDA posed the question of whether an NDI notification would be required for “a dietary ingredient that has been listed or affirmed by FDA as [GRAS] for direct addition to food, self-affirmed as GRAS for direct addition to food, or approved as a direct food additive in the U.S.” 2011 Draft Guidance IV.B.2. 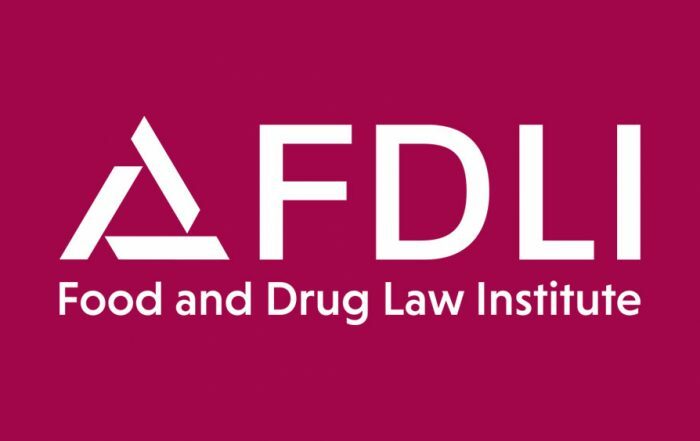 FDA’s response stated that no NDI notification would be required as long as the direct food additive or GRAS substance had been used in the food supply and is to be used as an NDI without chemical alteration pursuant to Section 413(a)(1). FDA’s point was that, regardless of how GRAS status is determined, a GRAS substance is exempt from the NDI notification only to the extent that the Section 413(a)(1) exemption applies. The new Draft Guidance poses the same question, but inexplicably deletes the phrase “self-affirmed as GRAS for direct addition to food” from the question. 2016 Draft Guidance IV.B.2. The omission of “self-affirmed” GRAS determinations raises a question about whether FDA is attempting to narrow the Section 413(a)(1) exemption for GRAS substances to those that are listed or affirmed as GRAS by FDA. There is absolutely no legal basis for this change and it would stand as a potential obstacle to this alternate, legal route to market. Under the FDCA, ingredients that are determined to be GRAS are implicitly recognized as an exception to the food additive category and are exempt from the food additive petition process, FDCA 201(s) (21 U.S.C. 321(s)), and there are no prescribed procedures for determining whether an ingredient is GRAS. Manufacturers have always been free to deem foods and food components as GRAS and then go straight to market. FDA most recently acknowledged this fact in its final rule, “Substances Generally Recognized as Safe,” 81 Fed. Reg. 54960 (Aug. 17, 2016) (GRAS Rule), which finalized the voluntary GRAS Notification process. Therein, FDA changes the nomenclature for GRAS self-affirmations to “independent conclusions” of GRAS status, 81 Fed. Reg. at 54984, and confirms that such independent conclusions remain an acceptable route of establishing safety, subject to the same standards as GRAS Notifications. Id. at 55027. Just as it does in its GRAS Rule, FDA should make clear that it will accept quality independent conclusions of GRAS status meeting the stated well-articulated criteria for all GRAS determinations. 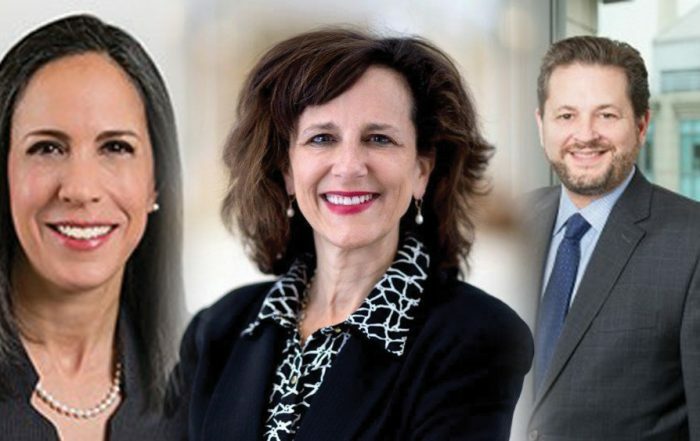 FDA’s Draft Guidance represents a step forward by the Agency in addressing the Section 413 NDI notification requirement after many years of discussion and numerous stakeholder comments. 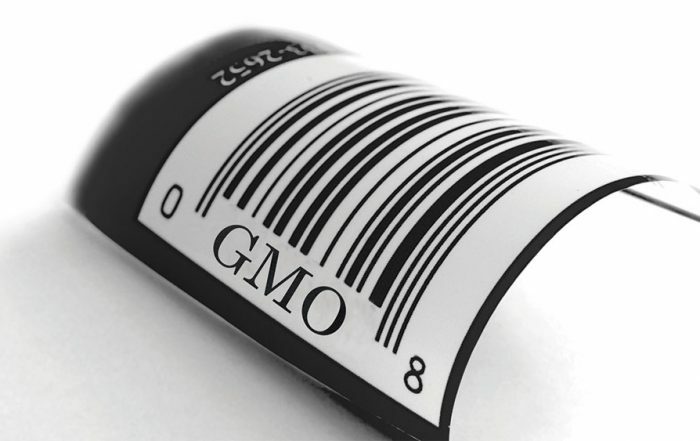 While certain aspects of the Draft guidance may advance regulatory certainty and encourage innovation, others – including FDA’s continued narrow interpretation of the definition of dietary ingredient under Section 201(ff)(1), limited view of chemical alteration under Section 413(a)(1), and inconsistent approach to GRAS status – may pose a threat to innovation. Fortunately, FDA’s openness to continued dialogue on NDI issues suggests that alternative approaches may still be possible.